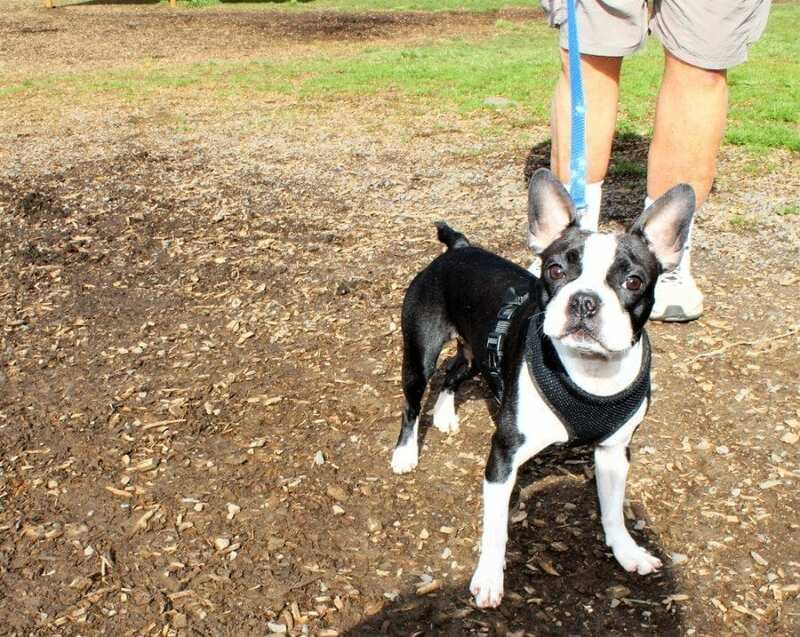 WASHOUGAL — The sun has come out for the first time in what seems like months, but Rosy, 15-month-old Boston terrier pup has the entire 8-acre Stevenson Dog Park to herself. Rosy’s human dad, John Bartholomew, says he’s been coming to the Washougal off-leash dog park for three years — first with his recently deceased Boston terrier, Beau, and now with Rosy, a rescue dog Bartholomew adopted earlier this year. The wide-open park, which includes areas for small and big dogs, used to be much more crowded, Bartholomew says. “I’m not sure people know that it’s still open,” he adds, watching Rosy tear through a grassy area near a giant sign announcing the dog park’s imminent closure in late April. Originally set to close in early November of 2016, the nonprofit group that maintains the park, Dog Owners Group for Park Access in Washington (DOGPAW), was able to negotiate with the landowner, Wes Hickey of Lone Wolf Investments, to keep the park open a few more months while the group searched for another, more permanent location. Instead of closing in November, the park is now scheduled to close in April. 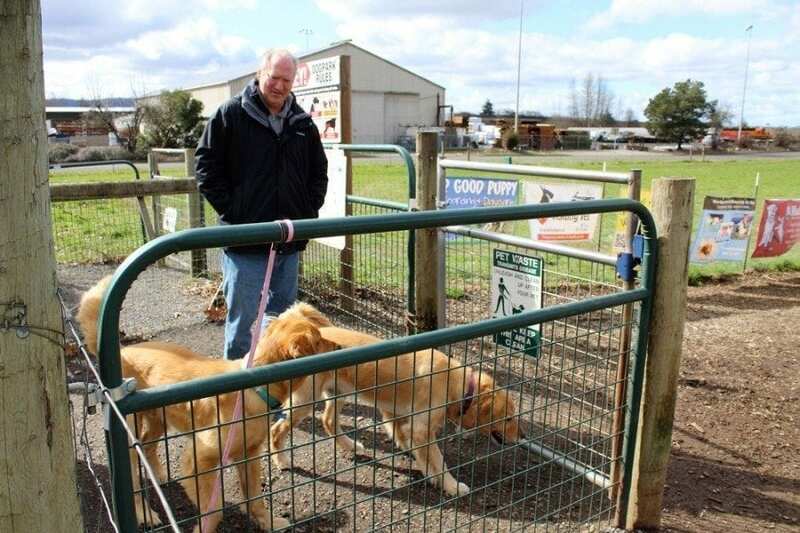 A replacement site has not yet been found, but many people — including Bartholomew — hope that the city of Washougal’s newest city park, the Schmid Family Park, located at 1407 NE 32nd St., in Washougal, may be a good spot for another east Clark County off-leash dog park. For people who share this sentiment, DOGPAW’s president, Mark Fruechtel, says he has some bad news: it’s not just the Washougal park that may be closing soon. “All off-leash dog parks in Clark County are in danger of closing,” Fruechtel says. He says a lack of funds combined with low volunteers has led to a crisis within DOGPAW. 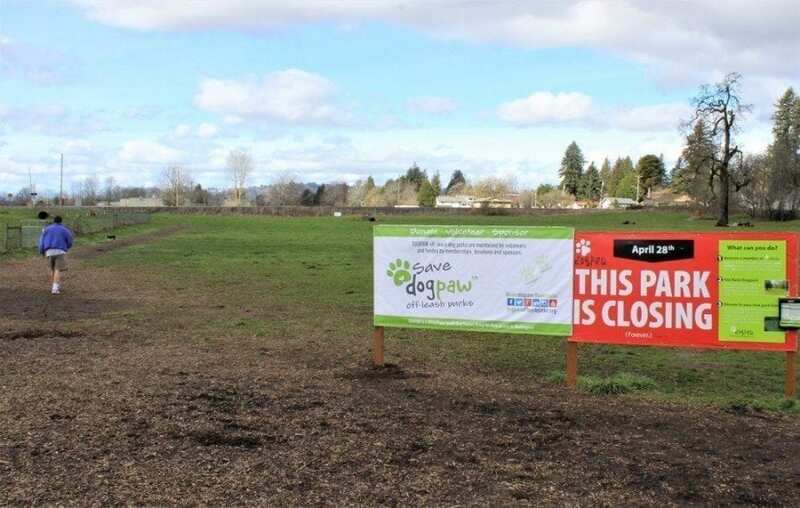 DOGPAW operates four off-leash parks in Clark County (not including the Washougal park, which they’ve also maintained since 2010). 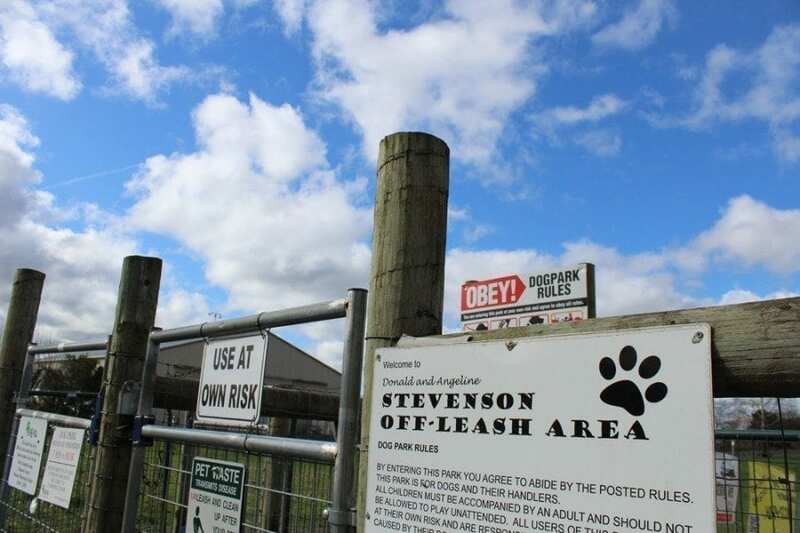 The volunteer group started in 2001 when a small group of dog-lovers approached the Vancouver Parks and Recreation Department and asked that the city preserve land for the area’s first off-leash dog park. The group’s first park, Ike Dog Park (formerly known as Ross Dog Park), located at 5167 NE 15th Ave., in Vancouver, near the BPA Ross Substation, opened in 2005. Since then, DOGPAW has opened other parks throughout the county, including the Washougal park, the Dakota Dog Park in Northeast Vancouver and two parks in Brush Prairie: Kane Dog Park, a 2-acre forested site and Lucky Dog Park, a fully fenced, 7.5-acre site within a 55-acre parcel slated to someday become a regional park. DOGPAW members help fund the group’s mission of keeping off-leash dog parks open throughout Clark County and volunteers help build, maintain and manage the dog parks. “Once a DOGPAW off-leash dog park is in existence (on publicly owned land in most cases), DOGPAW continues to maintain the parks with mowing, weed maintenance, grass replacement, waste management and all the ongoing work that keeps the dog parks safe and healthy,” Fruechtel says. 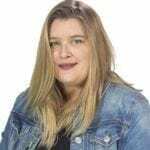 Lately, however, the group has had a tough time gaining new members and volunteers, Fruechtel adds. If the situation does not soon reverse itself, Fruechtel says, DOGPAW will be forced to close all of its off-leash dog parks. For dog lovers like Bartholomew, the parks’ closures would have a huge impact on their pups’ quality of life. In fact, Bartholomew credits the Washougal park with helping Rosy overcome the anxiety and problems with barking that she had when he and his family first adopted her. “I don’t think she’d ever been around other dogs,” Bartholomew says of Rosy. When he first brought the rescued puppy to the Washougal off-leash park, Bartholomew says Rosy was skittish and a little anxious at first, especially when a big sheepdog started trying to boss her around. After five weeks at the park, though, Rosy has come to love her freedom and new friends. Now she happily runs on both the small dog and big dog sides. Her barking problems are on the mend and she is mellowing out, Bartholomew says. DOGPAW’s board of directors hopes to find more people like Bartholomew who love their Clark County off-leash dog parks. On Sat., March 18, from 1 to 4 p.m., the group will host a fundraiser and membership drive at Providence Academy, located at 400 E. Blvd., Vancouver. The event will give dog lovers throughout Clark County more information about DOGPAW and the group’s mission to build, maintain and manage off-leash dog parks throughout Southwest Washington. For more information, visit the DOGPAW website at http://clarkdogpaw.org, check the group’s Facebook site at www.facebook.com/pg/DOGPAWoffleashparks, or call DOGPAW at (888) 899-0025. Kelly Moyer has been reporting for community newspapers since the mid-1990s, including the Newport News-Times on the Oregon Coast; the Lewistown Sentinel, a daily newspaper in central Pennsylvania; the Gresham Outlook, Wilsonville Spokesman, Sherwood Gazette and South County Spotlight newspapers in the Portland metro area; and The Reflector newspaper in Battle Ground, Wash. She also is the former managing editor of Midwifery Today, an international magazine for birth professionals. Kelly, a University of Oregon alumnus and Pennsylvania native, lives with her family in Northeast Portland.